The difference between Japanese panko and regular breadcrumbs is that panko crumbs are made without crusts. 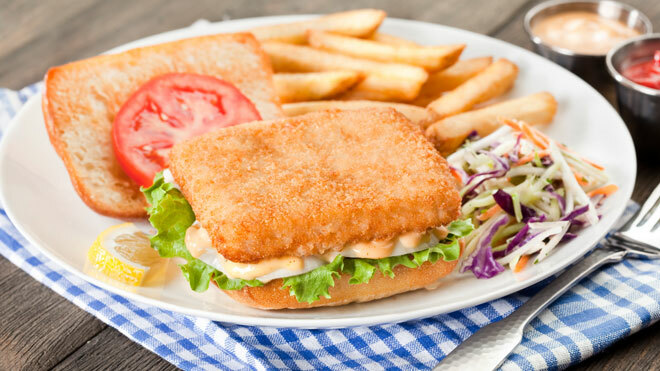 That's why our all-natural, wild-caught Panko Breaded Fish Sticks, (cut from whole fillets!) have such a light, flakey crunch. * Individual fillet sizes may vary per 2lb bag. Keep frozen until ready to use. Preheat oven to 425F. 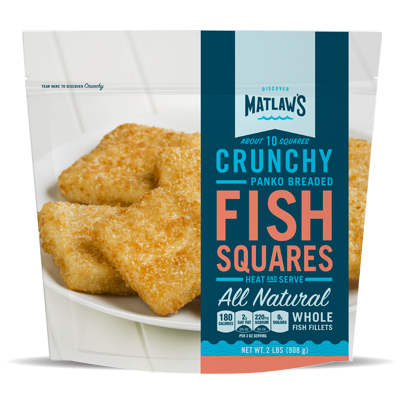 Arrange Matlaw's All Natural Fish Squares on crumples aluminum foil. Bake for about 20 minutes until crisp. To check if the fish is cooked, flake the fish with a fork at the thickest part. Flesh should be opaque and flake easily. For an easy dipping sauce or spread, add mayo, mustard and ketchup in a small bowl and mix until evenly blended.